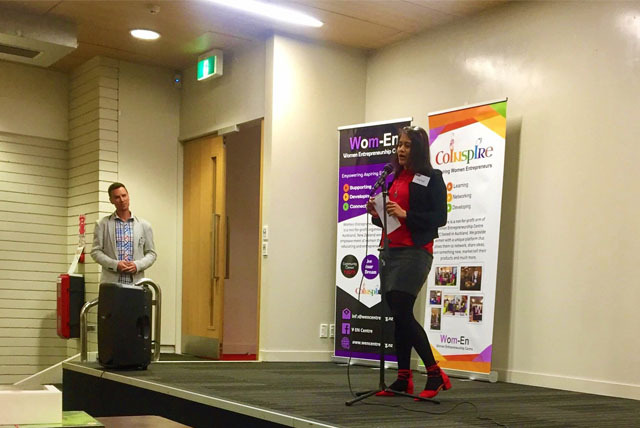 CoInspire is the voice of the Women Entrepreneurship Centre (WEC). WEC’s vision is to inspire the courage and passion to be different. To develop entrepreneurial capabilities in everyone - irrespective of age, academic, social and economic background. WEC has a number of initiatives that develop confidence, creativity and competence in kids, youth and adults. 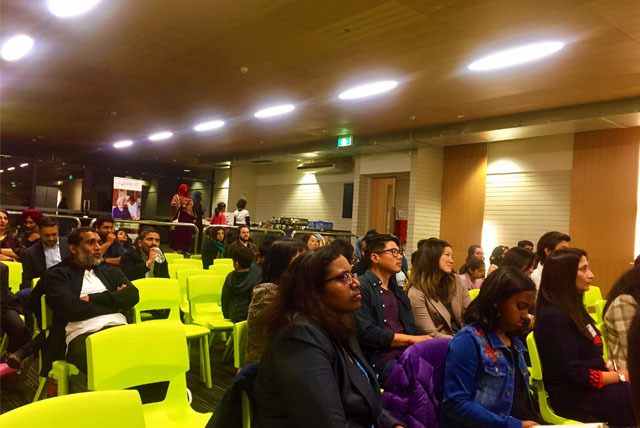 In particular, the “Live your dream” Workshop Series facilitates the process from start-up to real live business. 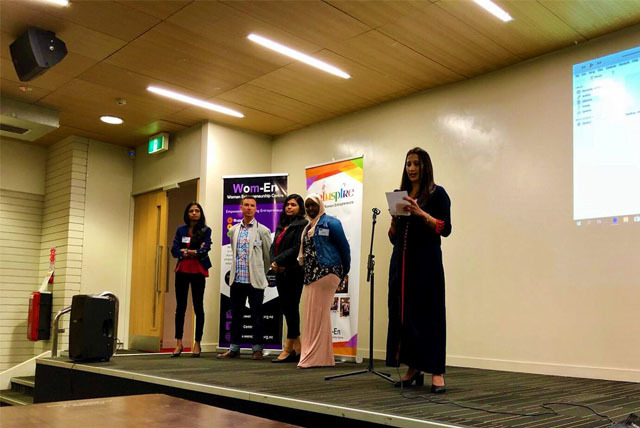 CoInspire provides these participants a place to continue their business growth, expand their network, develop their knowledge, and give and get advice from a supportive community. We can achieve great heights when we are together. Come say Hi, grow your business knowledge & share ideas. 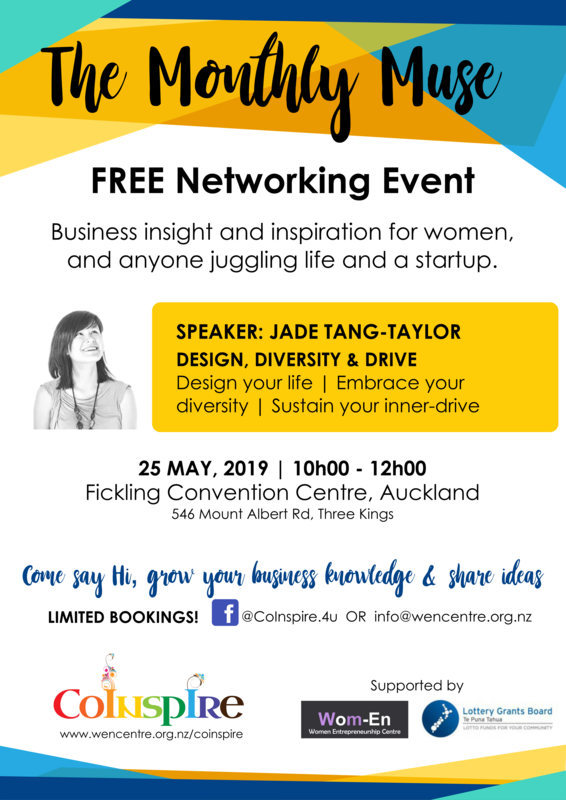 A networking event that provides business insight and inspiration for women, and anyone juggling life and a startup. Showcase your wares! 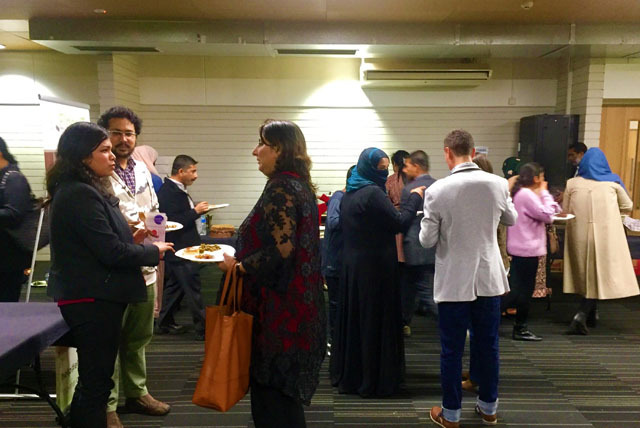 We offer small businesses a place to showcase and sell their wares at the CoInspire events. Get involved, get support! Our online digital presence provides business tips, free resources, inspiration and community support. The red carpet for our entrepreneurial stories. 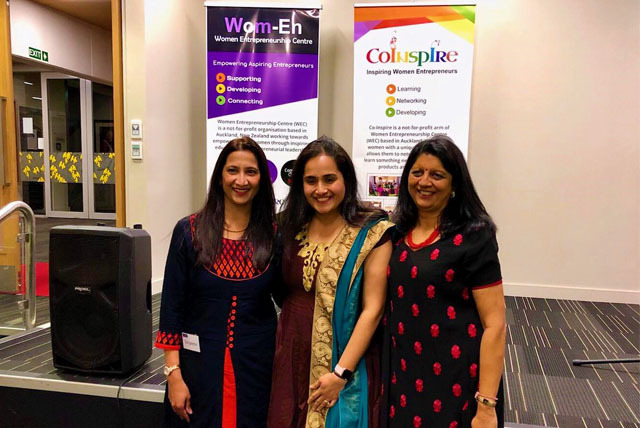 A glittering night for our CoInspire members. We show-case our businesses and celebrate our successes. 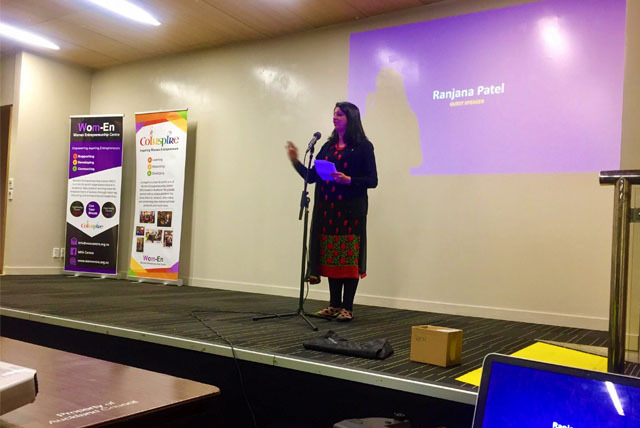 CoInspire is where grassroots entrepreneurs can muse … that can be me! We include all ENTREPRENEURS - those starting, those on the go, and those with ideas and knowledge to spare and share. CoInspire is where PROFESSIONAL FOLK can get involved, and current BUSINESS OWNERS can scope out business improvement trends. It’s also where CORPORATES can make a real difference. We are so excited to invite you to our Monthly Muse networking event! The fascinating Jade Tang Taylor is our keynote speaker for the May event. Jade’s topic is: DESIGN, DIVERSITY AND DRIVE. Design your life, embrace your diversity as a strength, and sustain your inner-drive. Jade will share her journey of designing her dream life, and how it crumbled down. 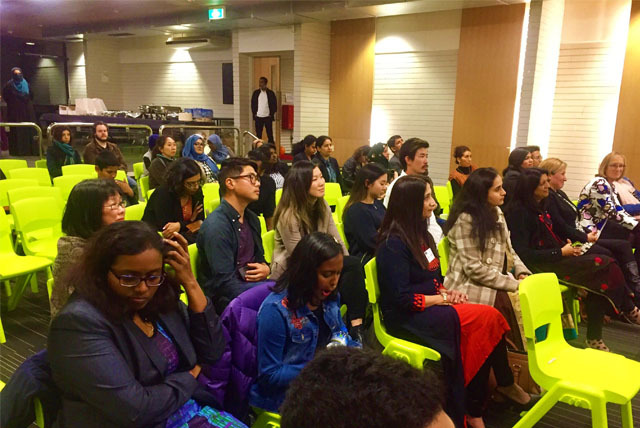 She’ll tell us how she managed to find strength in her diversity, as well as the key points to consider when starting out a business. Jade will also tell us a bit about her current project: the Ethnic Diversity Strategy at Foundation North. A new business owner will tell us all about their experience of the wild and wonderful entrepreneurial start-up world. Our inspired community of business owners are showcasing their products and services - so bring along a few dollars to browse their wares! We also invite you to leave a few of your own business cards on the Business Display Stand during the event. Refreshments and parking are graciously provided by WEC sponsors. The fabulous company is provided by YOU! Looking forward to a chat! Attendance is FREE, but space is LIMITED! 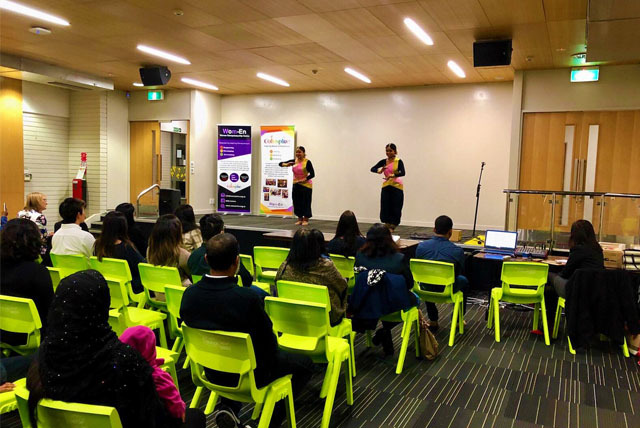 Women Entrepreneurship Centre (WEC) is a not-for-profit organisation based in Auckland, New Zealand working towards empowerment of women through inspiring, educating and entrepreneurial leadership. Copyright © 2019 WEN Centre | Theme by SiteOrigin.